The Board of Glasgow Chinese Recreation Center was sworn in as the mid-autumn festival was celebrated on 30 September. 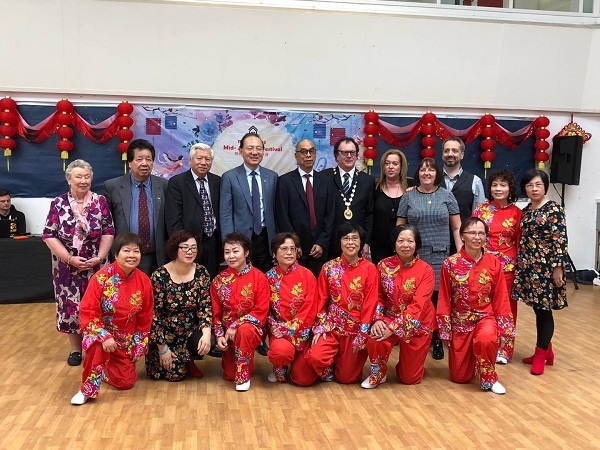 Chinese Consul General Pan Xinchun, Provost of East Dunbartonshire Alan Brown, Chair of Glasgow Chinese Recreation Center, Mr. Zhong Panwei, Councillors of Glasgow and other 200 guests including representatives from Chinese communities and members of the Center attended the event. Consul General Pan was invited to deliver a speech, speaking highly of the achievements made by the Center since it was established half a year ago. He said that the Center organized many valuable and recreational activities by carrying forward Chinese culture, enriching participants' lives and contributing to the development of Chinese communities. 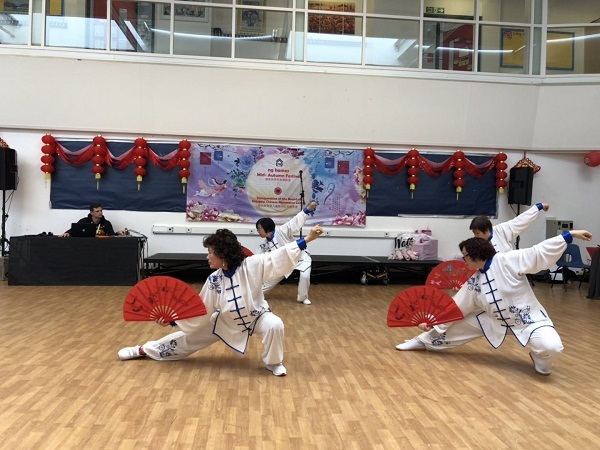 Provost Alan Brown stressed that while the Center was established not long ago, it made efforts to strengthen the understanding and friendship between Chinese communities and local residents through such an event, advancing the development of diverse culture in Scotland. He also sent holiday greetings to Chinese friends. On behalf of the Center, Mr. Zhong appreciated the strong support by the Consulate General and all sectors of the community, pledging that it will build on its success to grow stronger in future.